The Recording Academy’s GRAMMY Recordings and RCA Records announce the release of the 2018 GRAMMY Nominees album—which is now available in stores and via all digital retailers. 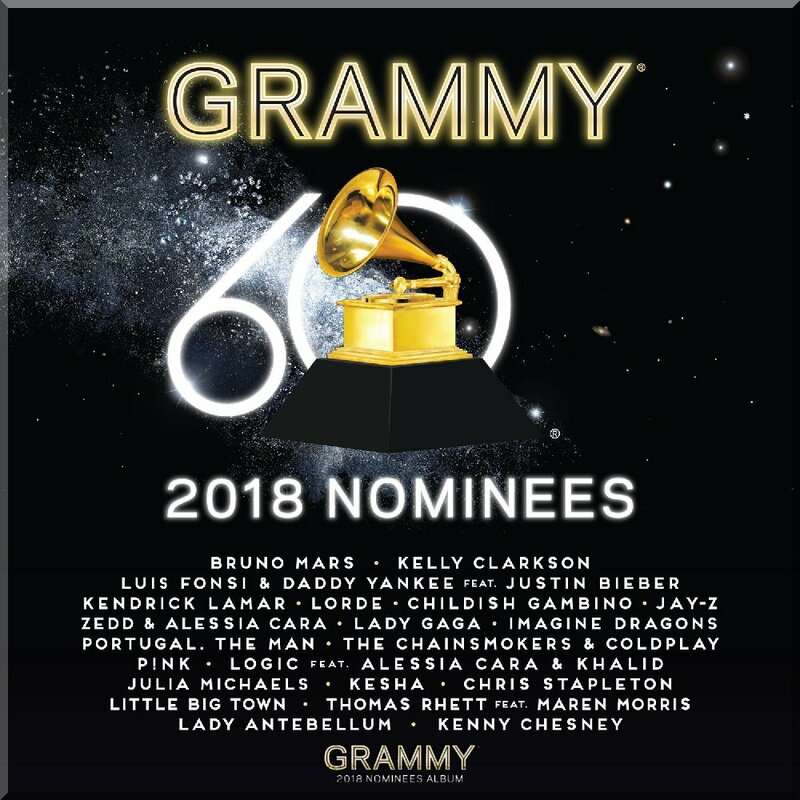 The 24th installment of the best-selling series features 21 GRAMMY-nominated artists and hit songs from the world’s biggest superstars and hottest emerging talent, including Album Of The Year nominees Childish Gambino, JAY-Z, Kendrick Lamar, Lorde, and Bruno Mars; and Song Of The Year nominees Luis Fonsi & Daddy Yankee featuring Justin Bieber, Logic featuring Alessia Cara and Khalid, and Julia Michaels, among others. A portion of the proceeds from album sales will benefit the year-round efforts of the GRAMMY Museum and MusiCares—the Recording Academy-affiliated charitable organizations focused on music education programs and critical assistance for music people in need. The 60th Annual GRAMMY Awards will be held on Sunday, Jan. 28th at Madison Square Garden in New York City, and will be broadcast live on CBS Jan. 28th at 7:30 p.m. ET/4:30 p.m. PT. RCA Records has key partnerships with Polo Grounds Music, Bazmark Records, Bystorm Entertainment, BPG Music, and more.